Pad & Quill have a pretty long history of making premium cases for iOS devices. Their signature style has been a wooden frame paired with leather that drips with sophistication. 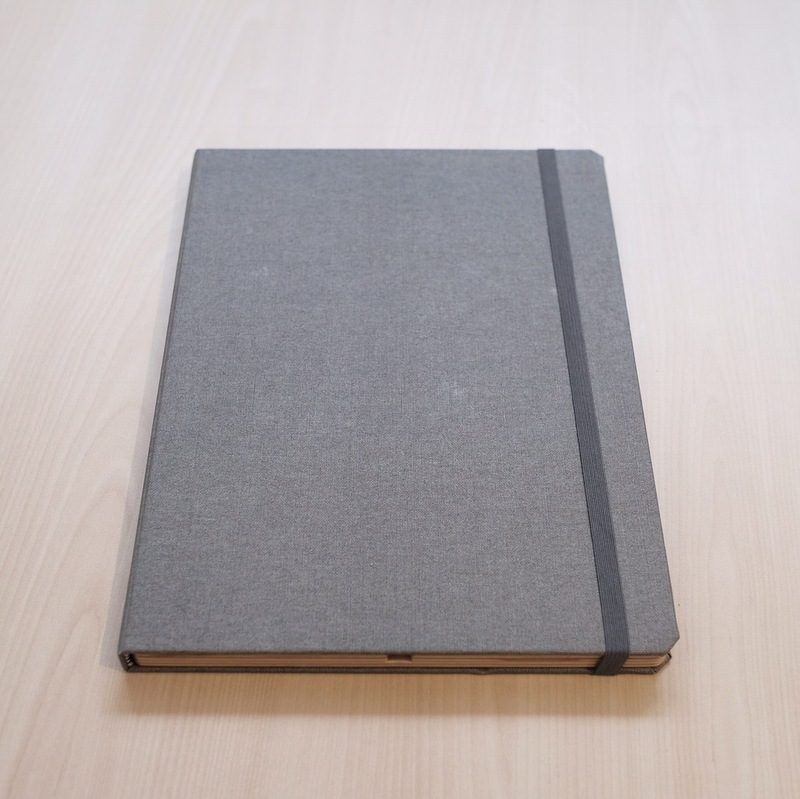 I admit I am sucker for wrapping new tech in tanned skins, but previous Pad & Quill iPad cases just didn’t appeal to me. My approach to everything before the 12.9″ iPad Pro was that tablets should be as light as possible, because I was supposed to just be able to pick them up and read them like pieces of paper. As gorgeous as Pad & Quill cases are, the wooden frames inevitably added weight and girth to the device, which made the tablet too heavy to easily hold in one hand. However, now that I’m an iPad Pro user, I almost always tend to lean or rest the tablet against something, so the increased size and weight from this case matter a lot less. In fact, I think this is the device size that these Pad & Quill designs have been waiting for. The Contega Linen feels right at home on my extra large tablet. I don’t use my iPad Pro in any sort of case, so I’m usually very careful with how I store it in my bag, or what kind of surface I place it on. I still take a little bit of care not to get the Contega too dirty, but I’m totally confident in the protection it provides the iPad Pro. All the corners are covered, so even if the tablet were to get knocked off the table somehow, the case would always take the first hit. The one downside to this increased size is that it changes the way I store the iPad Pro in my bag. The iPad used to fit in any section that would otherwise fit a 13-inch MacBook Pro. With the Contega Linen, I find I can no longer store my iPad Pro in my bags with 13-inch laptop compartments. This is something to keep in mind if you’ve previously bought bags that are precisely sized for a certain class of device. One of the major selling points of a Pad & Quill case is the way it feels in the hand. It just reeks of quality, and makes the iPad Pro feel like a large linen notebook that you’ll want to hold and turn over in your palm. 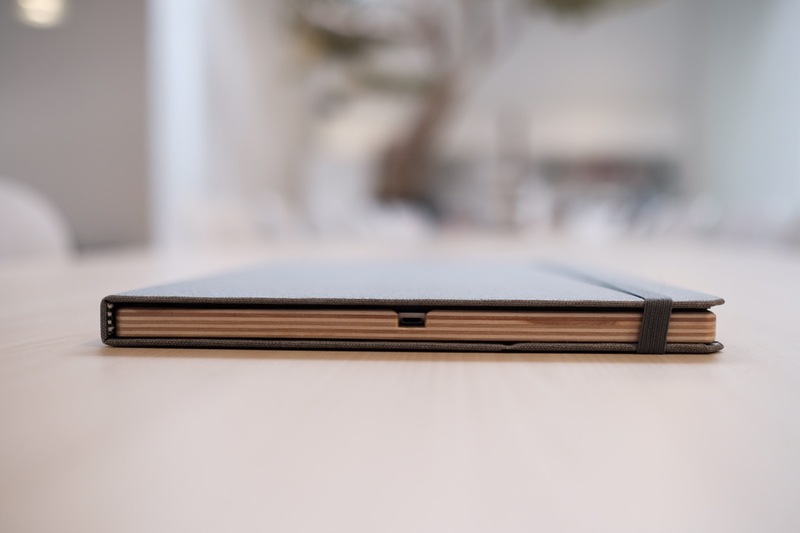 There are magnets built into the cover to wake the iPad up when you open it, so it’s very easy to just open the cover and get to reading. The Moleskine-style elastic band also feels right at home here, and it does a great job of keeping the case closed during transport. The Contega Linen isn’t compatible with the Smart Keyboard I own. This won’t matter to iPad Pro users who don’t own hardware keyboards, but it did slow me down a bit. The Contega can be used in one of two standing angles to prop the iPad up for use with a Bluetooth keyboard, but I no longer own any. So my weeks using the Contega were spent purely typing on the software keyboard. This experience was actually quite pleasant because the frame elevates the iPad Pro just high enough off the table, which makes for a much more comfortable typing angle. I managed to write quite a lot with just the Contega, but in the end, I really did miss having the Smart Keyboard to fall back on. There are a few marketing shots on the Pad & Quill site that highlight the Pencil storage on the Contega Linen. After a few weeks of testing, I can’t say I agree with marketing this as a feature of the case. Technically, it is true that you can store a Pencil by wedging it between the elastic and the case. Unfortunately, in practice, the Pencil will almost always fall out during transit. I wasn’t able to charge the Pencil while the iPad was in the Contega, either. I don’t consider this to be a huge mark against the case, but I don’t think it should be marketed as one of the case’s features. Pencil support didn’t feel like a huge priority here. What the Contega Linen was designed for was to assist in holding the iPad — whether that’s holding it up on a desk, or grasping it in your hand. There are much better results here. The rubbery material that lines the interior of the cover really does help the iPad Pro “stick” more to your palm or the clothing you’re resting it on. This makes it a lot easier to hold the iPad up like a digital clipboard and write on, or read off of. It’s a neat little feature the extends the kinds of scenarios you can comfortably use the iPad in. The rubbery material also has two grooves underneath it, to act as viewing stands for the iPad Pro. I like the option of having two viewing angles, but found that only one of them was actually reliable. 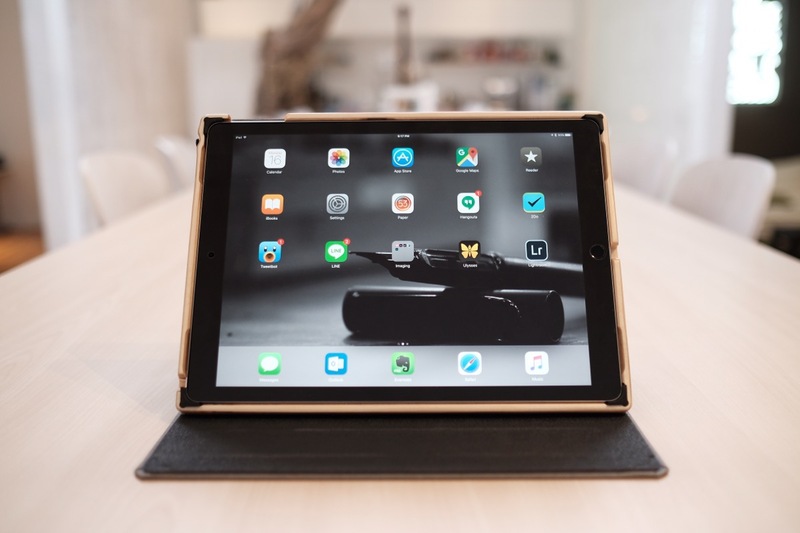 The shallower standing angle just isn’t secure enough to hold iPad Pro in place, and I would often walk away from the desk only to hear a small crash as the iPad slipped onto the table. There was never any damage to my tablet, but it’s jarring, and it really shouldn’t happen if the case is designed to hold the iPad at at that angle. The second, deeper viewing angle does work properly. I’ve left the iPad in place for hours at that angle, tapped way to change pages in my comic, and never had any issues with it slipping forward. I was pleasantly surprised during my time with the Contega Linen. I type a lot on the Smart Keyboard and I ultimately want a setup that can fully support that accessory, but I do think this case does a great job of supporting the software keyboard in a very comfortable typing angle. Pad & Quill have always made hardy and classy cases, and the Contega Linen is really no different. It isn’t a light case, but that doesn’t really matter with the iPad Pro – the extra protection it provides is welcome, and the quality of the materials make it a delight to hold in your hands. My only caveat is the issue I experienced with the viewing stand. Given that this $130 case was designed to hold the iPad up at two angles, I am disappointed that my tablet can slip so reliably on the shallower angle. 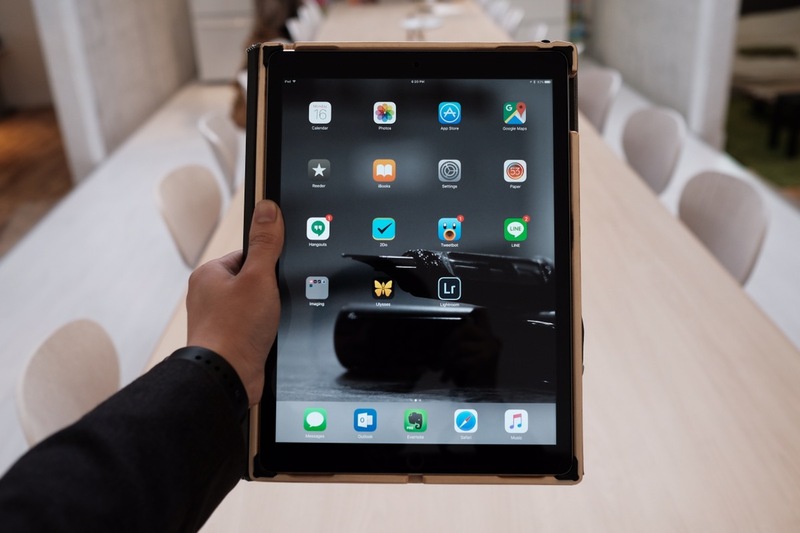 This could easily be fixed with a hardware revision, and once it is, I think the Contega Linen would make a really solid and luxurious outfit for your iPad Pro. 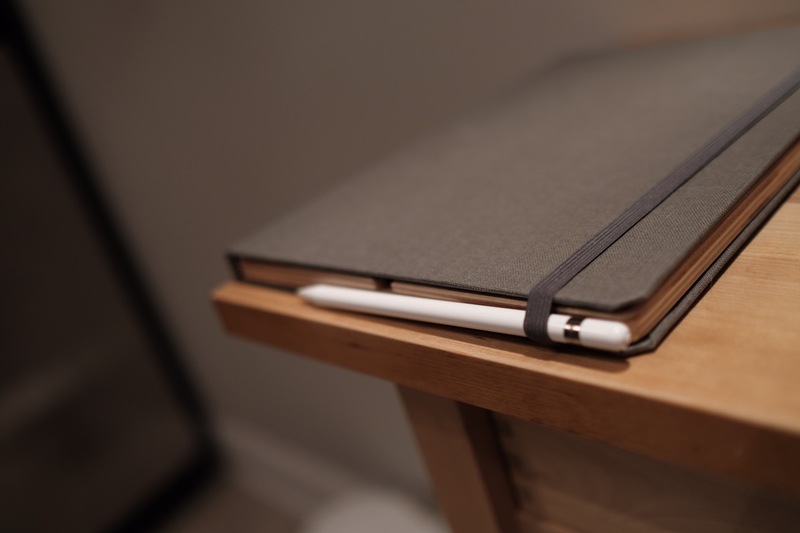 The Contega Linen was provided by Pad & Quill for review on iPad Insight. For further information regarding our site’s review policies, please see the “About” page.